The 2019 winter climbing season continues to ramp up with interesting developments in all of the major expeditions we're following this year. As usual for any winter mountaineering project the weather dictates the pace, and ultimately the chances of success, but so far all of the teams are optimistic and focused on achieving their goals. 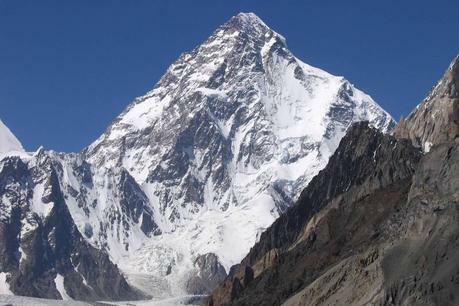 We'll start with an update on the two teams heading to K2 to attempt the first winter ascent of that peak. The international team led by Vassily Pivtsov and the Spanish/Polish squad captained by Alex Txikon met up in Skardu last week and decided to join forces. Moving forward, the two units will work together on opening the route, installing fixed lines, establishing camps, and hopefully making a summit push. In my opinion, this greatly enhances their chances of success, as Pivtsov's team was already down four members due to a lack of funding. Now, the united team has very strong climbers across the board and plenty of bodies to help shuttle gear and supplies up and down the mountain. The group is still currently trekking to Base Camp but should arrive there sometime around the end of the week. Over on Nanga Parbat, poor weather has set in, bringing a temporary halt to the operations there. But, the expedition led by Daniele Nardi had been making solid progress prior to the arrival of the current winter storm. Nardi, along with Brit Tom Ballard and Pakistani climbers Rahmat Ullah Baig and Karim Haiat, have established Camp 3 on the mountain, shuttling gear and supplies to that point on their route. The team will be attempting a new route along the Mummery Spur and although they are currently waiting out the weather in BC, they are happy with their progress thus far. In Nepal, Simone Moro is gearing up for his attempt on Manaslu, having arrived in Base Camp on that mountain earlier today. Moro, along with Pemba Gelje Sherpa, summited Mera Peak last week where they had planned to spend the night on the summit as part of their acclimatization process. Unfortunately, 130 km/h (80 mph) winds forced them back down. Since then, they've returned to Kathmandu for a few days to obtain their permit and were dropped off at BC by helicopter to get the expedition truly underway. It will likely take a day or two to get settled in camp, but they should start climbing shortly, weather permitting of course. Finally, Lonnie Dupre has pulled the plug on his attempt on Mt. Hunter after surveying the mountain. He the peak last week and was dropped off by bush plane, but after surveying the mountain he found the level of risk to be unacceptable. His first indications that things were not going to go as expected was when he flew over his intended route and saw that the ice fall he would pass through was unstable and crumbling. The final decision was made however when he surveyed the slopes of Hunter and began to the potential for substantial avalanche danger. More than 70 feet (21 meters) of snow has already fallen in the Alaska Range so far this winter and more is piling up on a daily basis. This simply makes the expedition too risky, so he's heading home and will give it another go next year. That's all for now. More updates as the news warrants it.